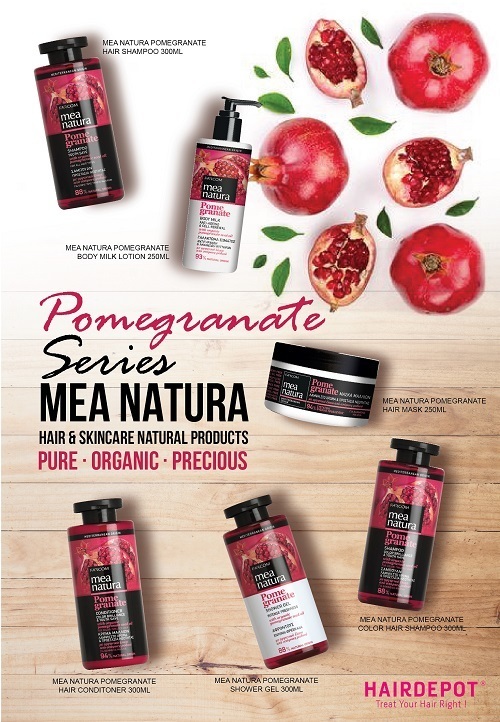 MEA NATURA POMEGRANATE COLOR HAIR SHAMPOO 300ML – HAIRDEPOT - Hair & Scalp Care Products, Prevent Hair Loss, Shampoo, Conditioner, Treatment, Styling, Appliances and more! Cleansing shampoo with organic pomegranate seed oil*, polysaccharides and sunflower oil – a natural blend rich in polyphenols, tannins and vitamins – ingredients with moisturizing and antioxidant action, essential for treating colored hair. 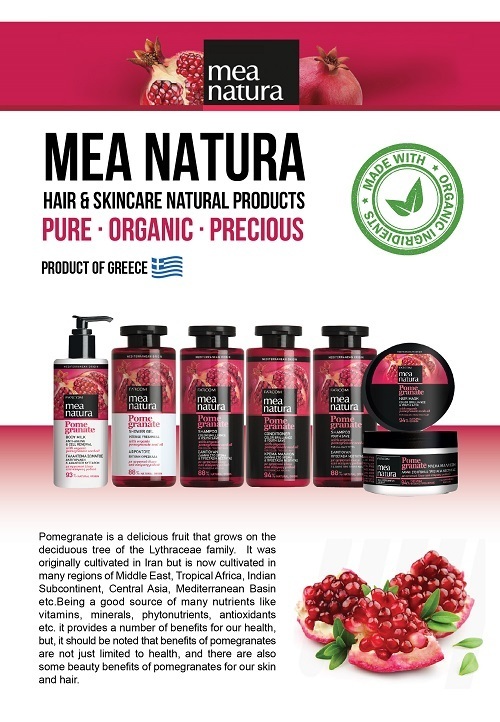 It contributes to protect hair against wear caused by daily shampooing, free radicals, styling products, and daily combing, which are factors that wear hair up and activate the process of premature ageing. 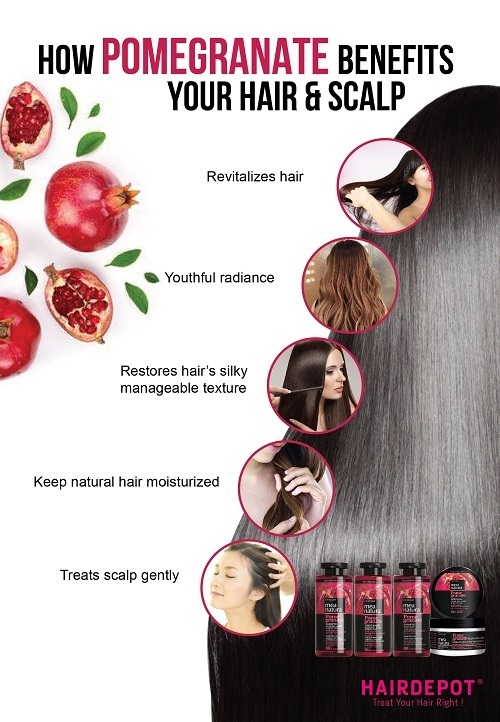 Colored hair is left touchably soft, vibrant, radiant and younger-looking. 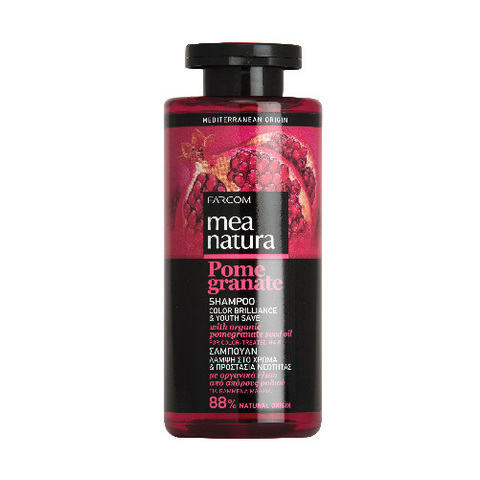 Apply shampoo on wet hair and massage along the whole lengths. Rinse with water. 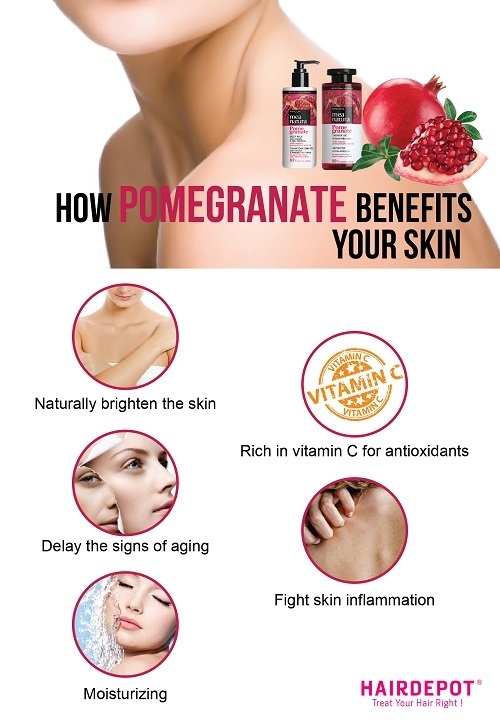 Avoid contact with eyes. External use only.